The rounded peninsula that is today the Gamage Shipyard and Marina stands has been a prominent South Bristol landmark for more than 250 centuries. Native Americans made extensive use of the Bristol area, often visiting what we now call the Gut as they traveled up and down the coast. The shipyard property’s exceptionally accessible location certainly would have drawn them and most likely even served as a seasonal camping site. European fishermen and explorers first visited the midcoast of Maine late in the 16th century, and nearby Pemaquid village was one of their first settlements in the New World. By the mid 17th century, the South Bristol mainland belonged to George Buckland, who appears several times in the records of Pemaquid after 1647. He was “appointed and to have the liberty to keep (a) house of publicke entertaynment and to retayle beare, wine and, licquors” in 1675. Where might Buckland’s “publicke house” have been located? 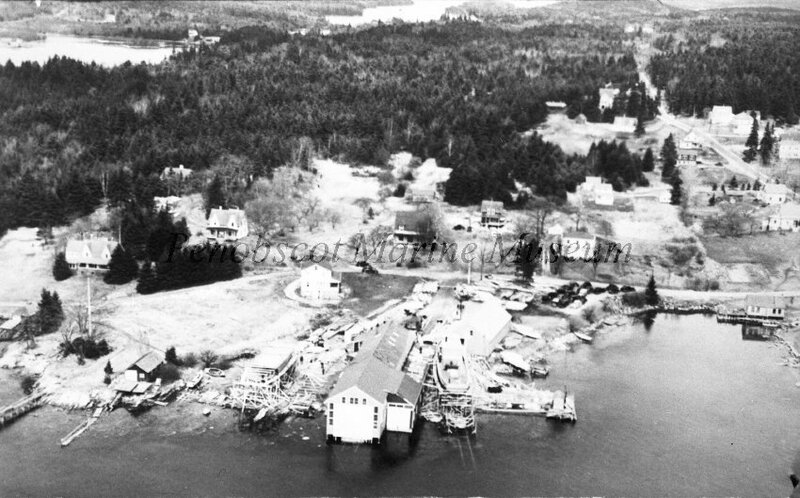 The shipyard property, with its down-river view, frequent small boat traffic, and safe anchorage would have been a prime possibility. In 1676, the first of several brutal Indian uprisings occurred, and French and Indian wars began. These Indian raids and battles caused the rapid abandonment by the English of the coast of Maine, and the area remained unsafe for them for more than 50 years. In the early 18th century, Colonel David Dunbar, a representative of the Crown, brought Scotch-Irish settlers to the Bristol peninsula. The property where the shipyard stands first appeared in County deed records in 1787, and the land was owned by a number local fishermen through the first half of the 19th century. The recorded history of shipbuilding here began in 1871, with the purchase of land including the marina acres by Albion and Menzies (A & M) Gamage, who had been building large wooden sailing vessels since the early 1850s. Over the next 50 years, the well-regarded brothers built more the 88 sail and steam-powered boats, selling them both locally and as far away as New York and maritime Canada. Many of their fishing vessels were in the Boothbay and Southport, Maine, fleets as well as the large Gloucester, Massachusetts, fishing fleet. 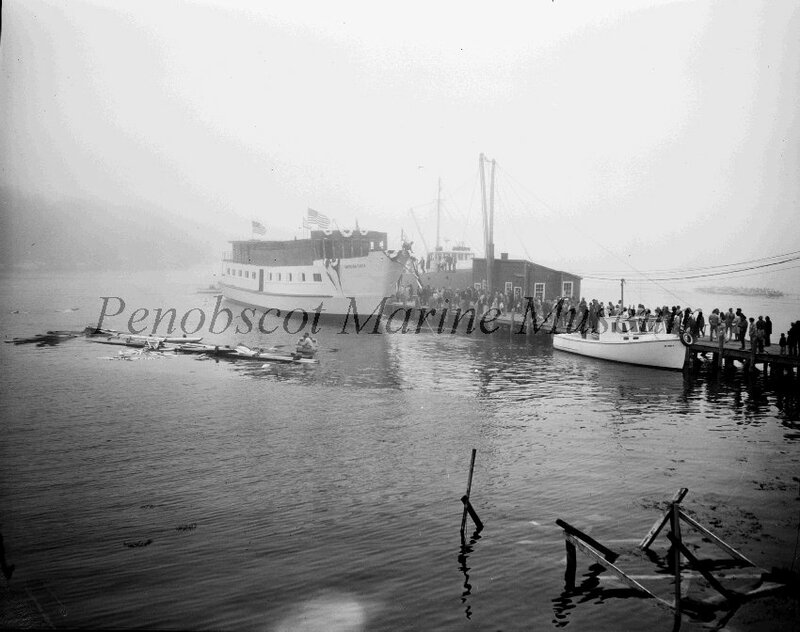 Three of the last boats from the yard were the steamboats that made up the early Damariscotta Steamboat Company fleet – Anodyne (1895), Bristol (1901) and Newcastle (1902). 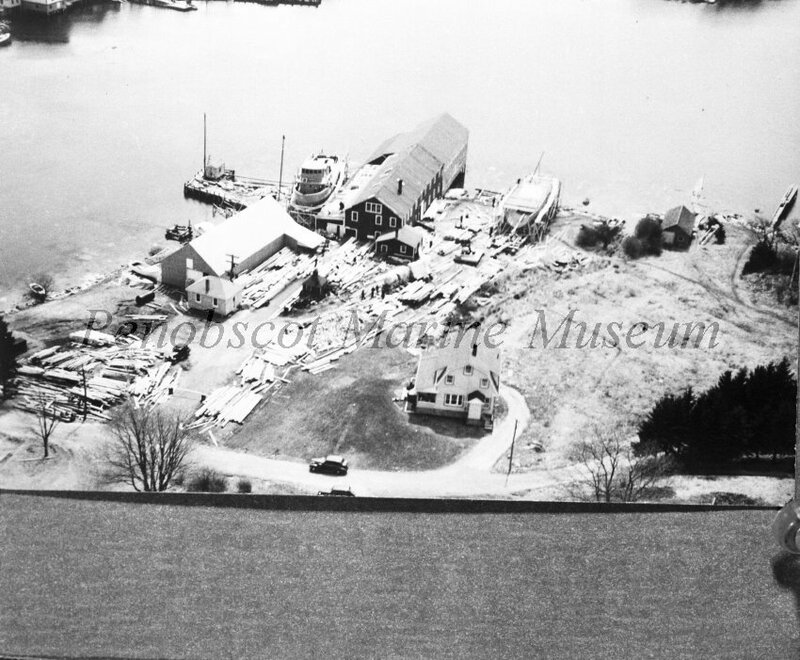 In 1924, Harvey F. Gamage left his apprenticeship in East Boothbay boatyards to set up in business for himself. 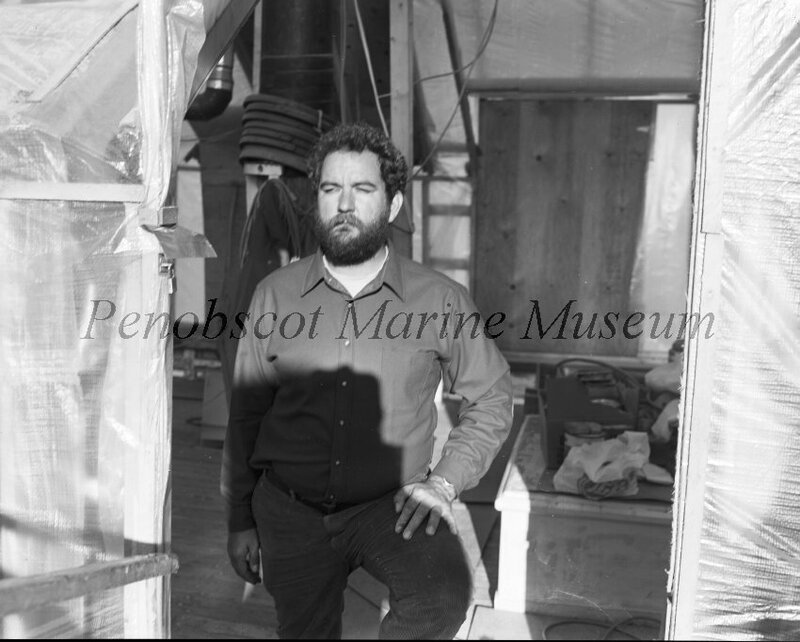 That same year, he built a boat shed on the marina property. From 1924 to 1976, Harvey Gamage oversaw the construction of more then 288 sailboats, powerboats, draggers, scallopers, and windjammers. Most of his early boats were sloops, as well as schooners designed by the well-know naval architect John Alden. 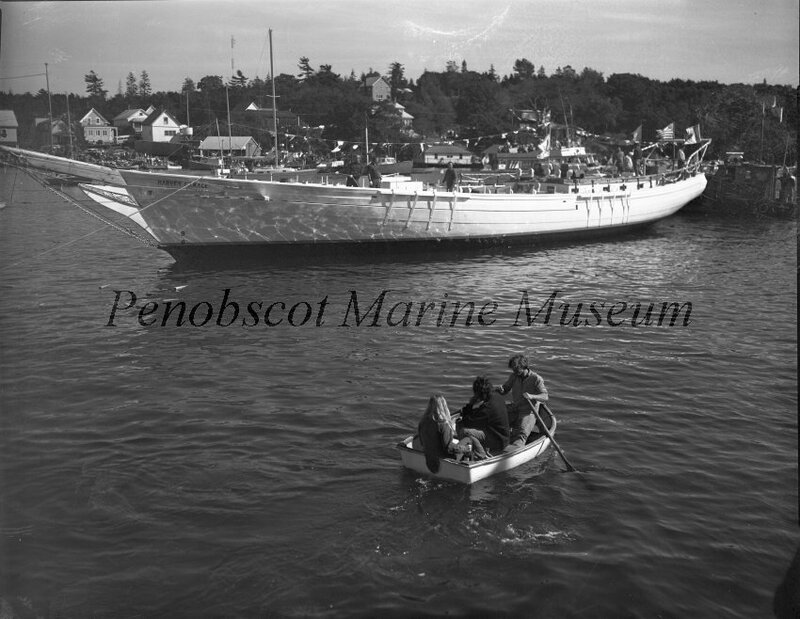 Powerboats and small fishing and lobster boats became more common in the 1930s and 1940s. The construction of eight wooden military vessels occupied Gamage boatbuilding from 1940 to 1944. In 1944, the business turned to building rugged, able, and profitable wooden fishing boats. Averaging about four boats a year, a total of 93 boats were launched between 1944 and 1969. Heavily framed, diesel-powered boats ranging from 70 to 112 feet in length, these boats were the backbone of the Gloucester and New Bedford, Massachusetts, fishing fleets. Gamage also built a few yachts, pleasure powerboats, and lobster boats during this period. In 1959, Captain Havilah Hawkins asked Gamage to build the first schooner designed specifically for the windjammer passenger trade. The result was the 83-foot Mary Day, launched in 1960. From that date until 1976, when Harvey died, the shipyard’s output was 43 vessels – a mixture of draggers, research vessels, yachts, and large schooners. 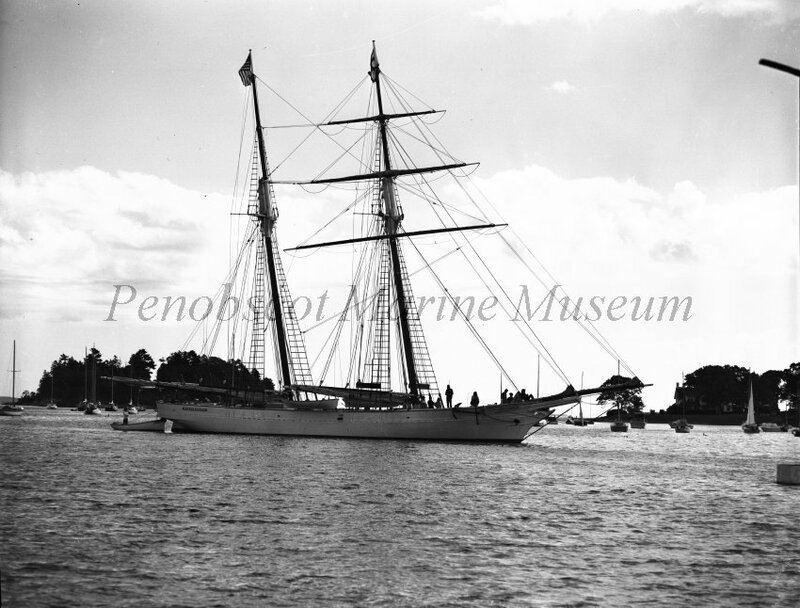 In addition to the Mary Day, the famous schooners Shenandoah, Harvey F. Gamage, Clearwater, Bill of Rights, and Appledore II all slid down the ways here. At 152 feet, the Shenandoah was the longest vessel to come from the boatyard. The Antarctica research vessel Hero also dates from this period. In 1970, the yard’s first steel-hulled boat, the fishing vessel Elizabeth, was launched. This concession to change was followed by nine more steel fishing boats. Boat building continued at the yard from 1976 to 1981 under the name Gamage Shipbuilders, Inc. Eight fishing boats – mostly steel-hulled draggers and passenger vessels – were launched. 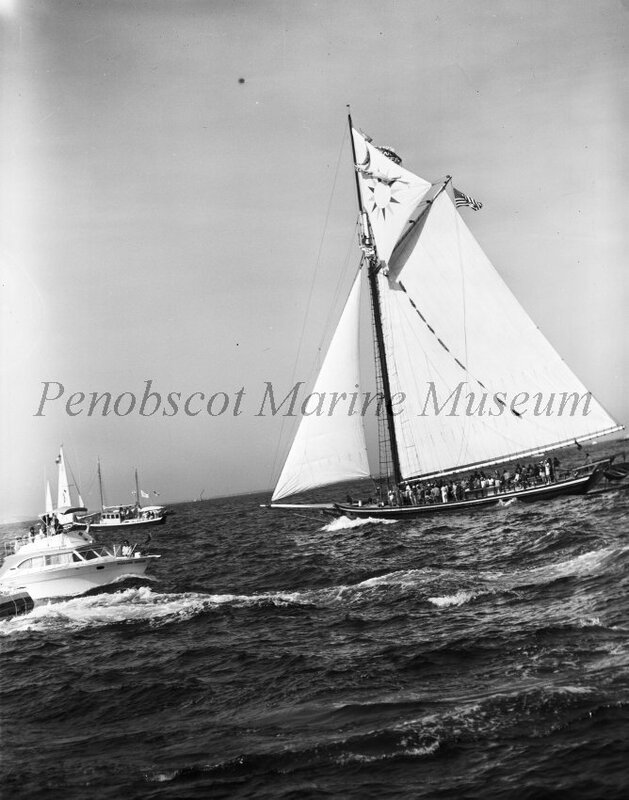 The last boat launched was the 55-foot-long fishing boat Windsong, built for Jim Fossett of New Harbor, Maine. Our yard’s heritage – which includes the building of such notable vessels as the Mary Day, Shenandoah, Harvey Gamage, Clearwater, Bill of Rights, Appledore II , and American Eagle – inspires us every day to strive for only the highest quality. 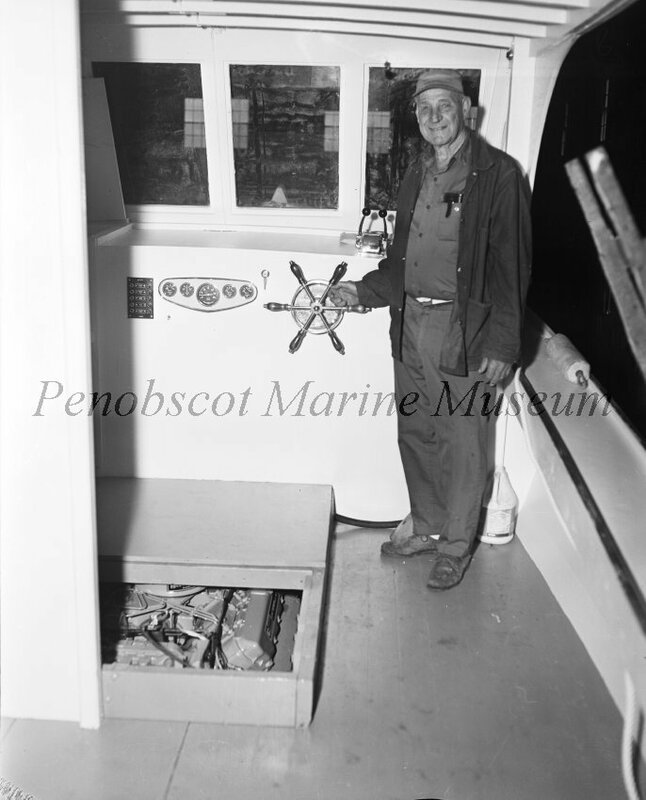 For more of Gamage Shipbuilders images from the Boultier Collection visit the Penobscot Marine Musuem. First all steel ship built at Harvey F. Gamage Shipyard, South Bristol, Me. Designed by John W. Gilbert, owned by Ocean Technology Inc. of Cambridge, Ma. 96' at waterline, 85' breadth, fish hold with 238 short ton capacity. Caterpillar marine engine and 3 auxilary engines, outfitted as seiner-trawler and research. Cost $600,000 Capt. Richard Stevenson. Homeport,Bedford, Ma. HERO - the American National Science Foundations Antarctic research vessel launched March 28, 1968 at the Harvey F. Gamage Shipyard in S. Bristol, Me. Sails rigged by sailmakers and riggers, Henry Bohndell of Rockport, Me. HERO with masts at S. Bristol. April 29, 1968. 104 foot steel scallop dragger built at Gamage Shipyard. Launched March 1980. Designed by Jack Gilbert of Boston. 104.6 ' long, 25 ' beam and 14' draft. Caterpillar diesel engine, and hold for 6200 cubic feet of fish. Hathaway winches. CLEARWATER democratic meeting aboard. CLEARWATER is a Maine built sloop that is a replica of an early 19th century Hudson River passenger sloop. Built at the Harvey F Gamage Yard in S. Bristol, Me. Plans drawn by naval architect Cyrus Hamlin. Pete Seeger, well known folk singer and Hudson River Valley environmental activist , was instrumental in the creation of CLEARWATER. Hudson Bay sloop CLEARWATER under sail in Tall Ships Days 1986. Schooner HARVEY GAMAGE -Pre - Launching - No date on negative envelope. Schooner HARVEY GAMAGE- Harvey Gamage setting wedges (shims). Schooner HARVEY GAMAGE- Charles " Buster " Gamage & William " Billie " Alley working on ratllines. 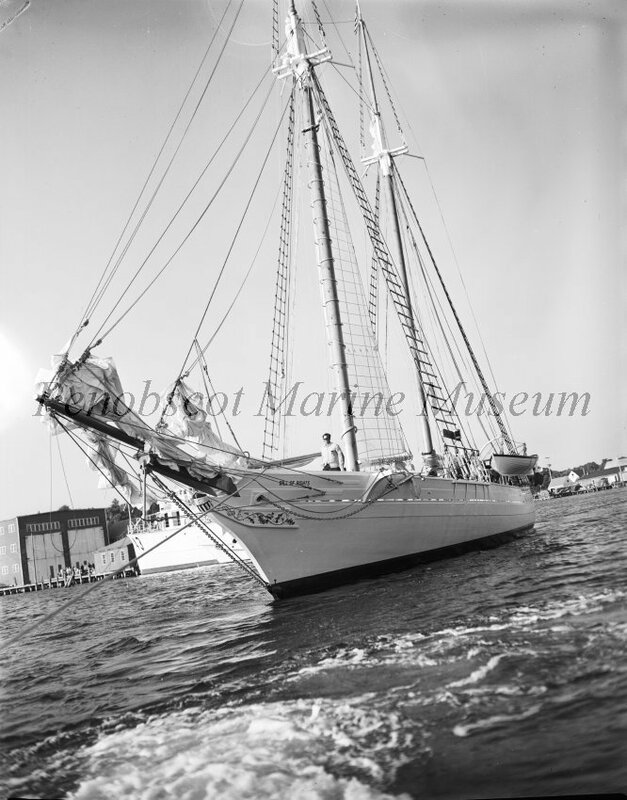 Schooner HARVEY GAMAGE - down foresail - floking the canvas - October 7, 1973. BILL OF RIGHTS - March 25,1971 -galley shot. Harvey Gamage Racing Team. At Biscay Bay, Sept. 1969. AMERICAN EAGLE built at Harvey Gamage Shipyard, South Bristol. 142 feet steel vessel built for American Cruise Lines, 1975. Tallest vessel launched at Gamage to date. Accomodates 56 passengers in 28 double staterooms 250 ton steel hull, cost $1.4 million.Owner-skipper Charles A. Robertson, Saybrook, Conn. and Capt William Rich, Baileys Island,Me. Launched June 1975. 4th Annual Schooner Race - STEPHEN TABER, H. GAMAGE, , back left and ADVENTURE left - at Friendship Sloop Day, July 18, 1980. July 12, 1978 - Bonnie York Cunningham - first female worker (welder) at the Gamage Boatyard. Harvey Gamage and his German Shephard ‘Lady’.